As of 2014, we have a contributing analyst who is a member of the National Football Foundation (NFF). As of 2013, we have a contributing analyst who is a member of the Football Writers Association of America (FWAA). In 2013, our lead analyst was admitted into the Intercollegiate Football Researchers Association (IFRA). CollegeFootballWinning.com has been featured on The Las Vegas Sportsline radio show, which airs weekly on ESPN radio. Every college football week since September 2011, CollegeFootballWinning.com has been a featured expert on SBRForum’s College Football Experts Roundtable, SBRForum’s Punters, and SBRForum/Sportsbookreview’s Inside the Lines video programs . 1) NO NONESENSE. We offer college football picks and analysis. OUR “FORMULA PICKS” ARE DETERMINED BY MATHEMATICAL ALGORITHMS BASED ON CURRENT SEASON PERFORMANCE DATA COMBINED WITH CURRENT AND HISTORICAL BETTING DATA. The betting recommendations (the picks) you get are our only picks. Whether or not you choose the money-back option is your decision; the picks are the same. We have no ‘Trillionaires Club’ or ‘Lock-of-the-Century’ extra special super-duper picks (for more money). We hold back nothing. When you get our picks and our analysis, you are getting our best. 2) With CollegeFootballWinning.com, you have the option of purchasing A TRUE, 100%-OF-YOUR-MONEY-BACK GUARANTEE. (CLICK HERE for the 100% Money-back Guarantee Terms.) Other services may say they have a money-back guarantee, but get the truth about their “guarantees” by reading this: Top-3 Money-back Guarantee Scams. 3) EFFECTIVE MONEY MANAGEMENT. 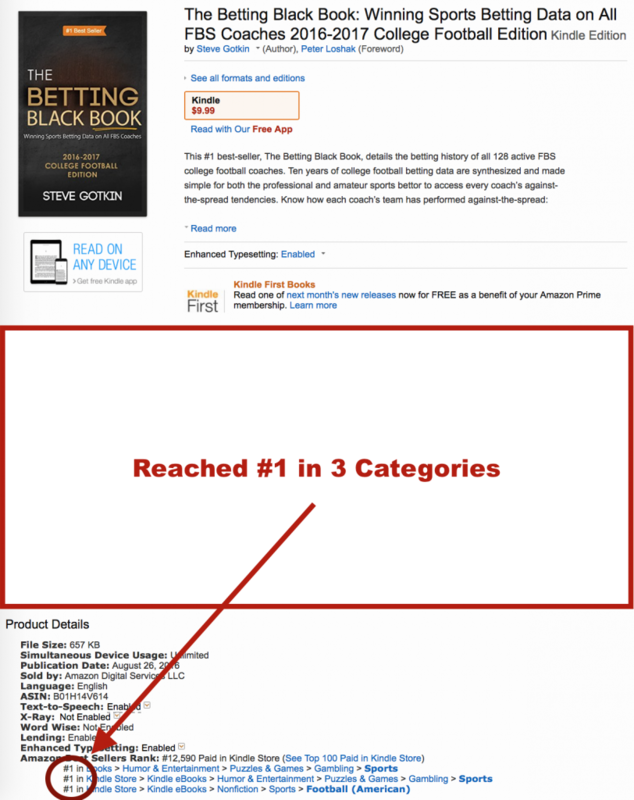 We give specific wagering parameters: We tell you what betting line to get (and even where). We never recommend wagering more than 3 units on a single game. We ask that each unit is between 1.5% and 1.67% of your total bankroll. Therefore, you would never be asked to wager more than 5% of your bankroll on any single game. 4) GUARANTEED VALUE. Over the course of an entire season, we provide wagering recommendations for AN AVERAGE OF AROUND 125 GAMES. The most expensive 100% Money Back Guarantee membership offered for the entire season is $1,999. Therefore, THE AVERAGE PRICE PER GAME FOR AN ENTIRE SEASON OF 100% MONEY-BACK GUARANTEED GAMES IS AROUND $16. 5) OUR ONLY FOCUS IS COLLEGE FOOTBALL. Unlike others, you will not find us (or The Formula) magically picking every sport- from horse racing to Australian Rules Football to Mixed Martial Arts- making picks 365 days a year. OUR ONLY SEASON IS COLLEGE FOOTBALL. The fact is college and pro football share a season. Even if you find an “expert” in football handicapping, do you really want him dividing his time and focus every week between college and pro games? OUR FOCUS IS SINGULAR: COLLEGE FOOTBALL WINNING. 6) YOU WILL NOT BE HARASSED BY TELEMARKETERS, SPAMMERS, OR JUNK MAIL. We have no “sales representatives.” You will never receive a phone call from us or anyone affiliated with CollegeFootballWinning.com trying to sell you something. You will not receive any junk mail from us. Your personal information is not sold or given to anyone else. *Our strongest recommendations are 3-unit games. CLICK HERE for Previous Results. We do not claim dishonest statistics. We have no sales representatives trying to “up-sell” you to get you to buy more expensive packages. We reserve no best picks for the highest paying members. Everyone gets our best picks. We do not offer betting recommendations on every game. We are not a sportsbook. We accept no wagers of any kind. CLICK HERE for some of our most Frequently Asked Questions (FAQ).